We are award winning London architects and designers, dedicated to the creation of sustainable buildings and places. We find solutions to the critical questions facing the city today: how can we build inspirational housing in London, what makes our workplaces fit for the 21st century, and how should we reinvigorate our public spaces so that they engage and excite? Our private residential projects include house extensions, basements and loft conversions at all scales. A rational and pragmatic approach to each commission is combined with a desire to delight, forming spaces and places that bring joy. The project reconfigures a small studio of just 36 sqm, to create an open plan kitchen & living room with a new separate bedroom to the rear. The property forms part of a Grade II listed crescent in Islington, built in 1860. Each space was finished in a different greyscale tone to create three distinct moods within the small flat. A brilliant white living room is contrasted with a grey slate bathroom and a rich, off-black bedroom. 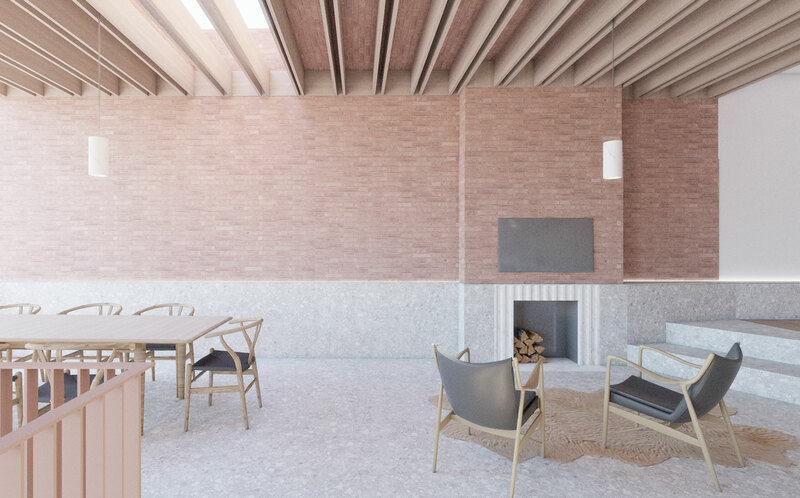 This house extension and refurbishment in Canonbury is designed for a filmmaker client. The new spaces create a sequence of views of the landscaped garden. Visually heavy brick walls and piers contrast with frameless, recessed glazing to create a sculptural interplay of solid and void. 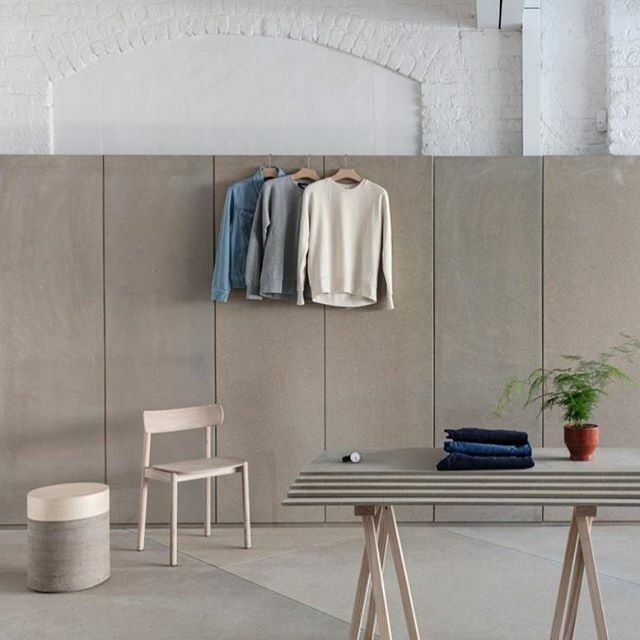 The simple pier and lintel construction references early forms of architecture. 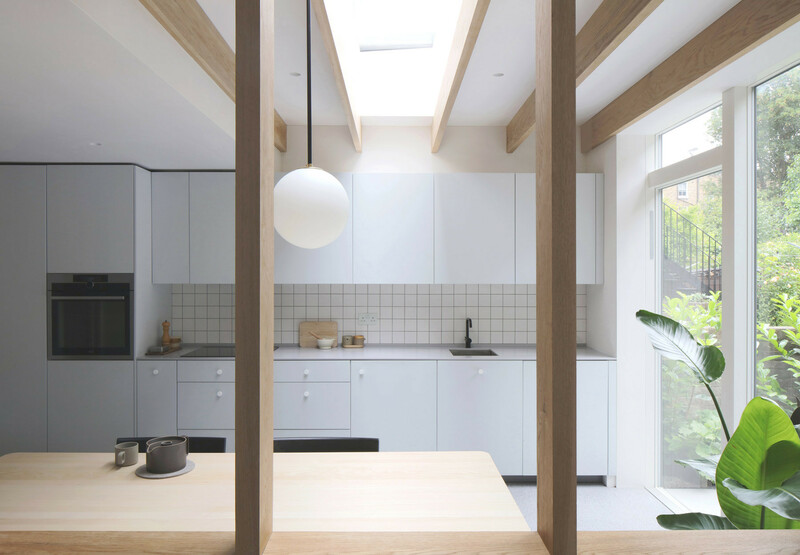 A two storey house extension in west London creates a bright new family space from a previously dark lower ground floor. A large glass box addition floods the space below with natural light, while allowing views to the rear from a new study at raised ground floor. 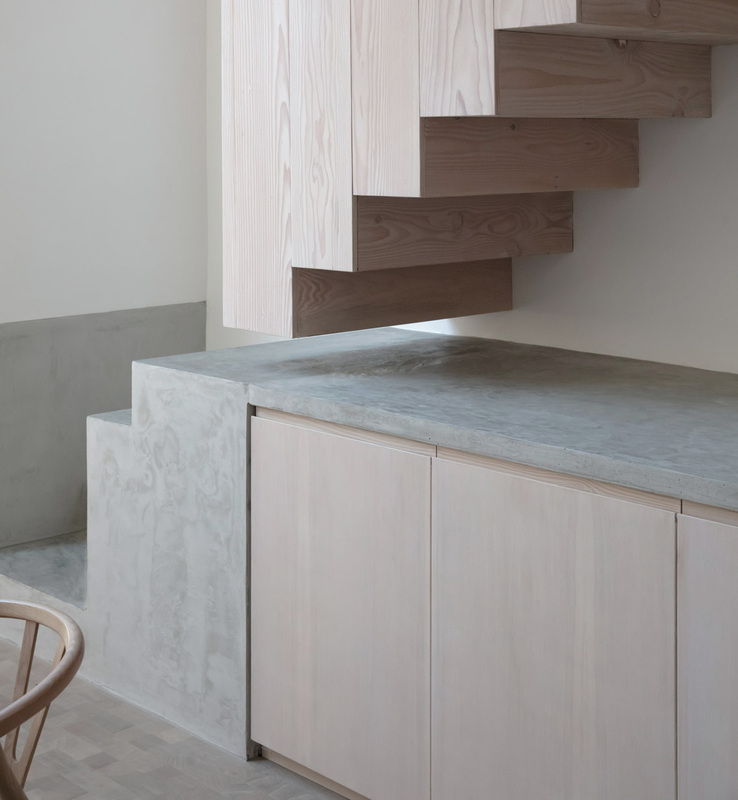 A bespoke kitchen is created in douglas fir timber and polished concrete. Project architect: Amrit Marway. This housing scheme in Walthamstow, east London provides 26 homes for private rent, with affordable creative space at ground floor for local start-up firms. The creative space helps to animate this part of the high street, which currently suffers from a lack of activity. The 'Build to Rent' housing model enables our practice to deliver high-quality homes with a focus on catering for long-term tenancies. 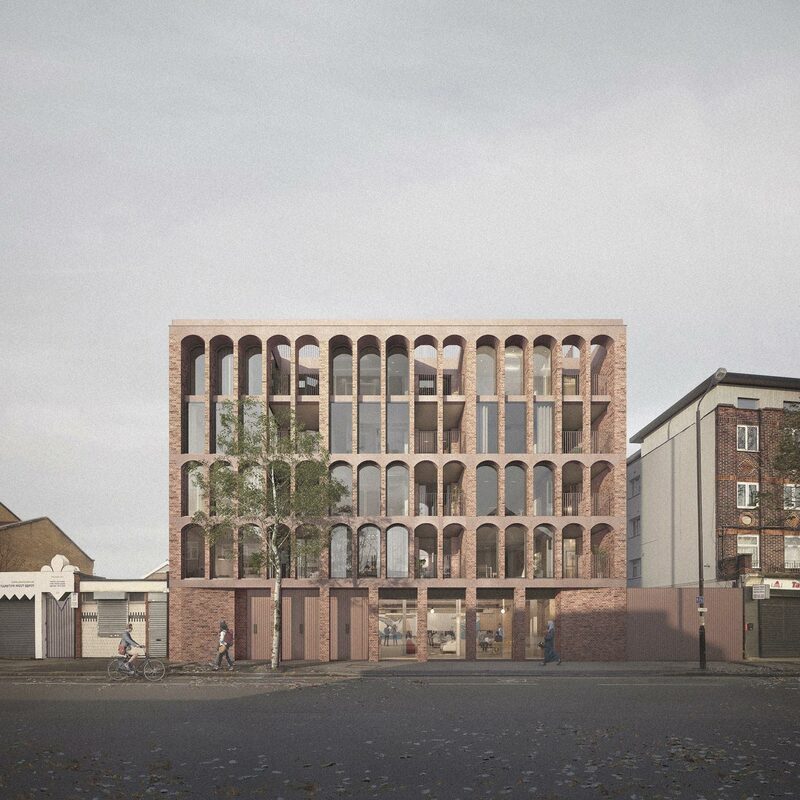 A facade of arches references the aspirational Victorian and C20th warehouses of east London, including the nearby historic film studios building. A red brick finish is complemented by matching pre-cast concrete lintels. 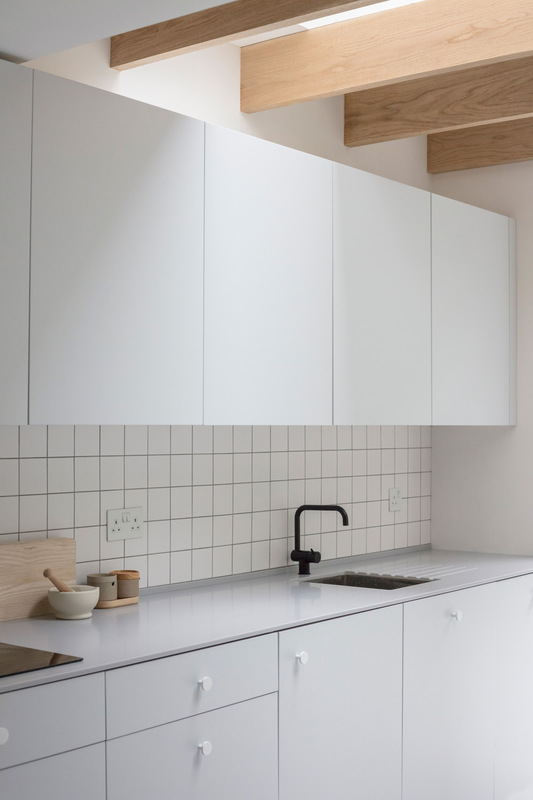 Project architect: Becky Wootton. 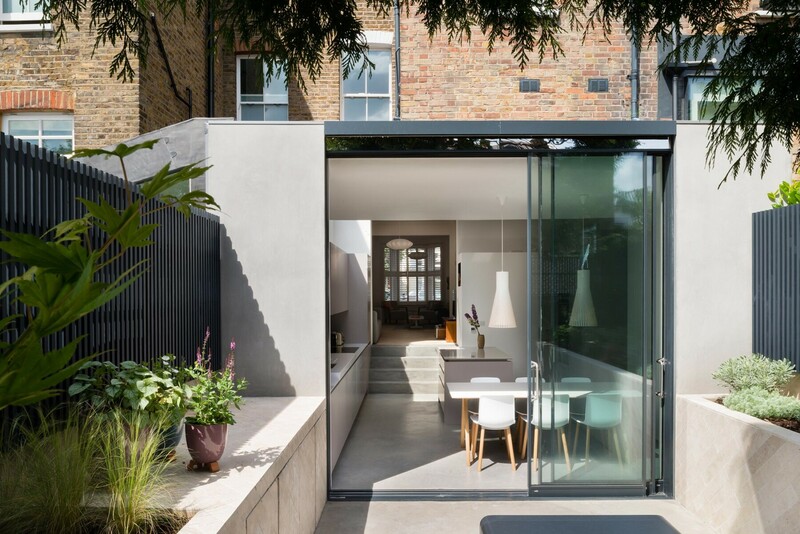 This polished concrete house extension and refurbishment lies in a conservation area of Highbury, north London. 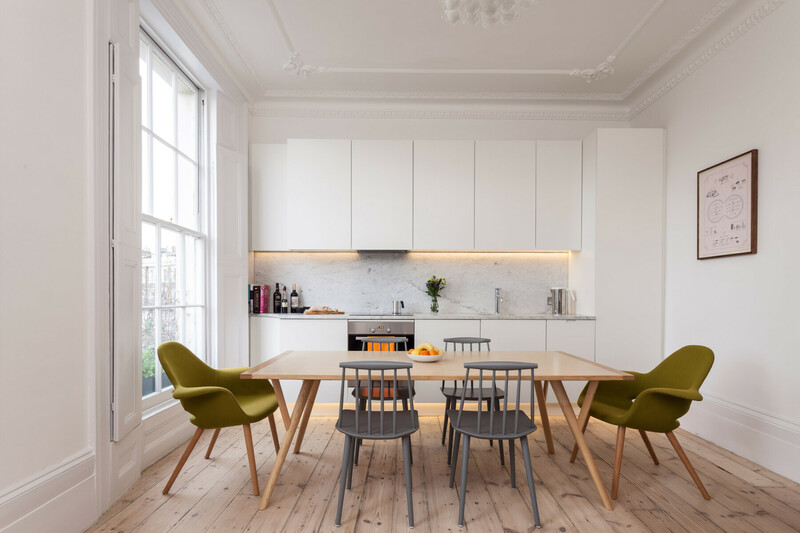 The project transforms a Victorian terraced house, enlarging the kitchen to create a generous, double height social space that is better connected to the garden. The circulation is reconfigured at ground floor and a new large opening created between the reception rooms and the extension. In the mid 20th century, radical changes in transport planning redefined our cities. We embraced the car as the future of travel in London. Walking and cycling were frequently marginalised and consequently, the experience of the city for other road users was transformed. 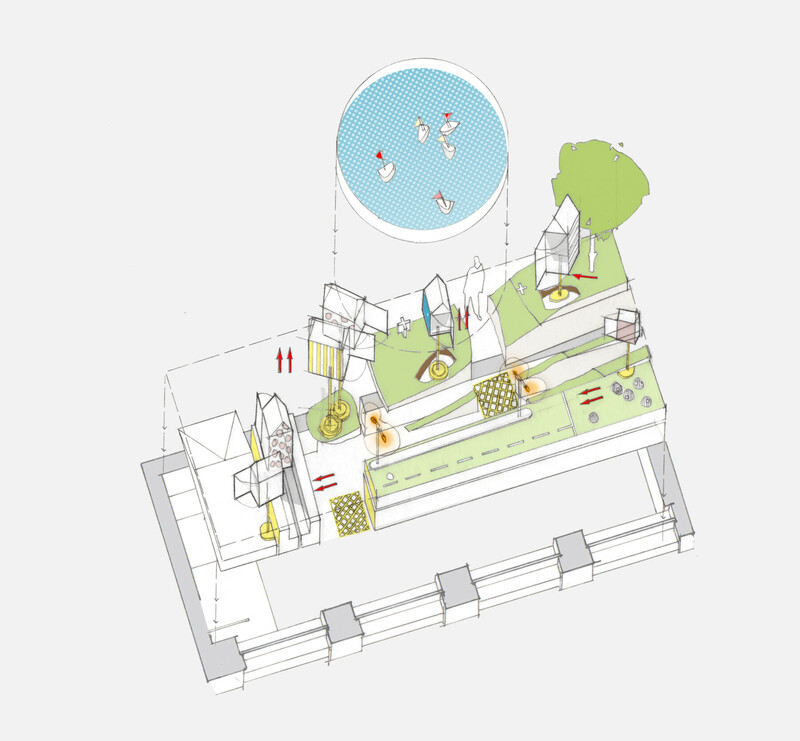 This project, proposed for the Architecture Foundation, considers a future when cars no longer dominate London's public spaces: one where the village green is woven into redundant vehicular infrastructure. Project architect: Ben Ridley. The design of this new build house in Essex is inspired by local timber barns. 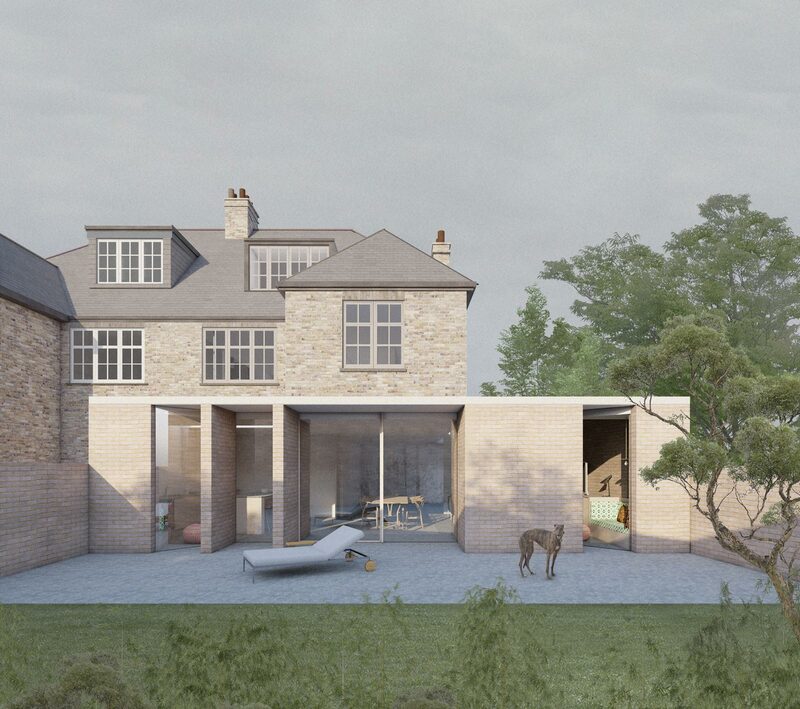 The sensitive protected woodland context deserved a contemporary house, with materials and detailing that build on the rich heritage of historic and agricultural buildings in the county. 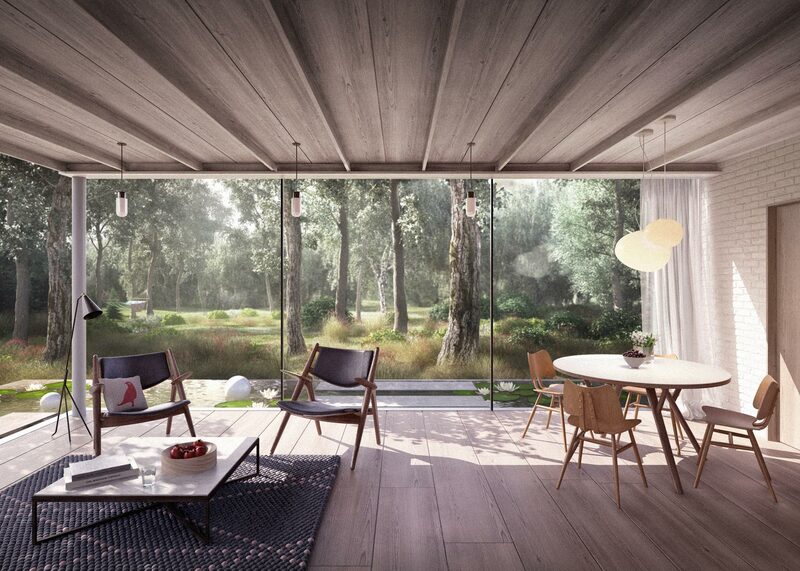 A landscaped pond provides reflected views of the trees from the living room, enhancing the sense of complete woodland enclosure. 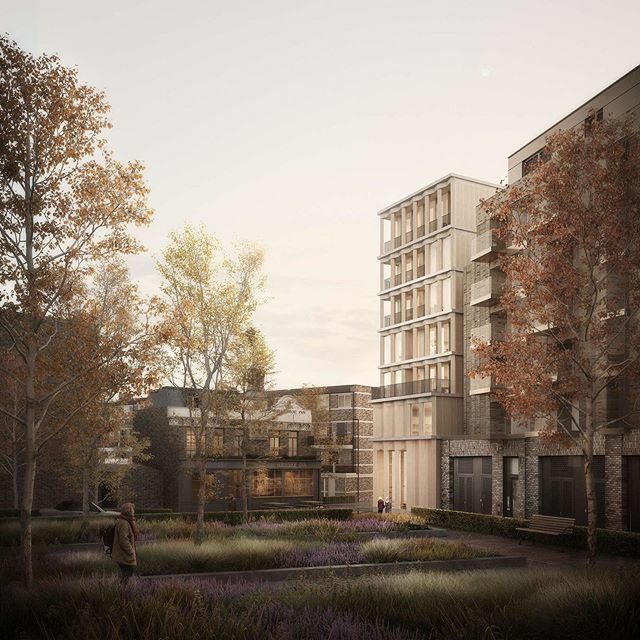 The planning permission for the project was won at appeal, after Architecture for London successfully argued that the house embraced the protected woodland setting. Project architect: Ben Ridley.